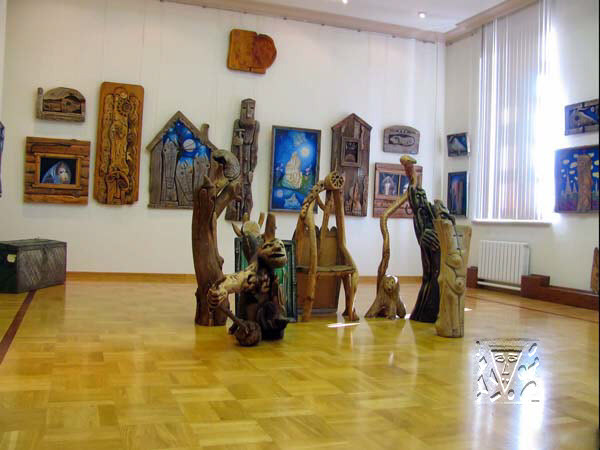 A painter, sculptor, master of carving, Ahsan Fathutdinov was born on June, 7, 1939 in the settlement of Vagapovka Cheremshan district of Tatarstan. In 1983 Ahsan Fathutdinov becomes the member of Union of artists of Russia, in 1987 awarded rank of the Honoured worker of arts Tatarstan. Presently lives and works in Nizhnekamsk.